The mission to build a park in Kimberling City is one step closer to reality after the city received a major grant to purchase equipment. 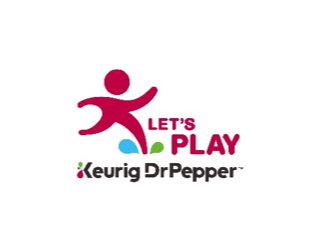 The grant Let’s Play Community Construction Grant, from Keurig Dr. Pepper (KDP) and the national non-profit KaBOOM!, will provide Kimberling City with $15,000 to use toward park equipment for a “pocket park” on Lakeshore Drive. “The main thing is we want to give kids who live in that area a safe place to play,” says Jerry Harman, Kimberling City City Administrator. “This grant requires that the city provide $9,000 toward the equipment. So, the city is essentially getting $24,000 in park equipment for that $9,000,” Harman says. The terms of the grant stipulate that the funds can only be used for park equipment, not for construction or other expenses. The next step for Kimberling City will be bringing in a park planner who has experience in building city parks like the one envisioned on Lakeshore. “Then, every three months, we will have to report to the grant organization what all we are working on. The grant stipulates that the park be finished by November of 2019,” Harman says. Harman says that most of the young people in Kimberling City live on Lakeshore Drive. “Right now, they don’t have a park to play in. Sometimes, when you go down that street, there are kids playing out in the street. The kids there need a safe place to play,” he says. Over the next year, Kimberling City has budgeted $37,000 for parks, up from $6,000 in years past. That $37,000 is broken down to $5,000 for engineering, $10,000 in construction, $9,000 in maintenance and the remainder for outside services and programming. That number was originally budgeted at $47,000, but cuts had to be made in late November. “Revenues are flat and expenses are up, so we had to make some changes,” Harman says. A total cost for the Lakeshore Drive park has not been estimated yet. “We need to wait until we get someone in who has done this before so we really have a good idea of what it will take. There may be some challenges with fencing and whatnot,” Harman says. However, the city is optimistic about having a park in the city. “We are shooting for a build day in late summer where we can have the public come help with some of the work,” Harman says. The playground build is made possible by Let’s Play, an initiative by KDP to provide the funding, equipment and play spaces to help kids and families make active play a daily priority. Through Let’s Play, KDP and its partners are committed to helping create safe and inspiring PLAYces for Kimberling City kids to learn, explore, grow and just be kids. KDP has committed $38.5 million to Let’s Play through 2019, impacting youth-serving organizations across the U.S., as well as Canada, Mexico and the Caribbean. Through Let’s Play, KDP partners with two non-profit organizations, KaBOOM! and Good Sports, to build and improve playgrounds in underserved communities and provide grants for sports equipment. In this way, KDP is doing its part to help eliminate the play deficit by making active play possible for more kids. The city is also making headway on another public park, located on property off of Kimberling Boulevard. The Kimberling City Park Board meets the second Wednesday of each month at 5:30 p.m.